Hypetrain worked together with renowned pilot Drew Camden to create a new motor that suited his smooth, flowy flying style. The result was the Hypetrain Drib 2306 2650KV motor - a powerful, high KV motor with an extra bit of top end, that still manages to maintain moderate efficiency. 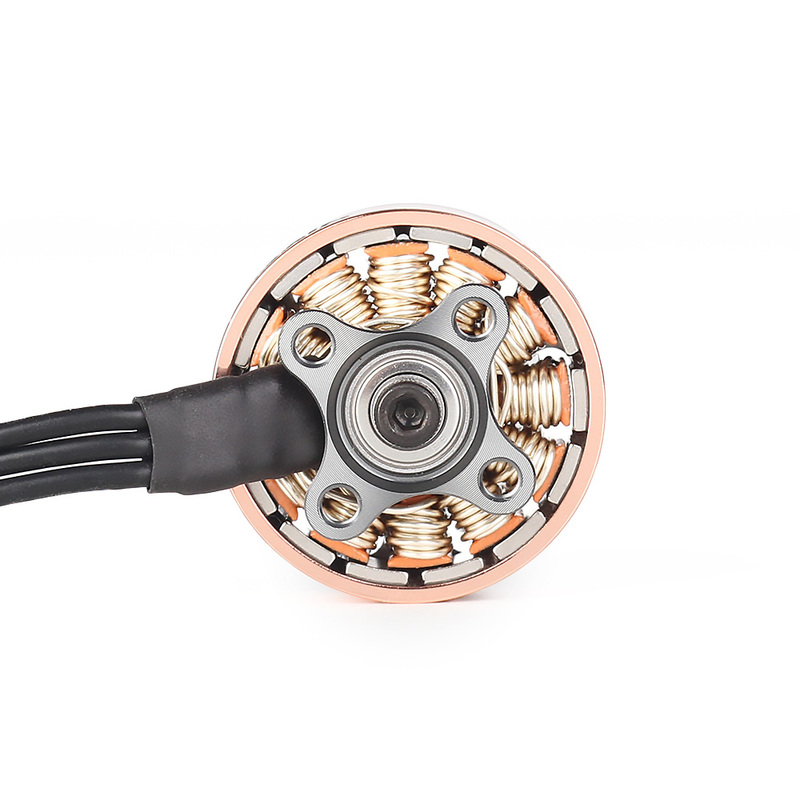 The Hypetrain Drib is built around a 2306 stator, with multi-strand windings that provide better efficiency than single strand wire at higher KV ratings. 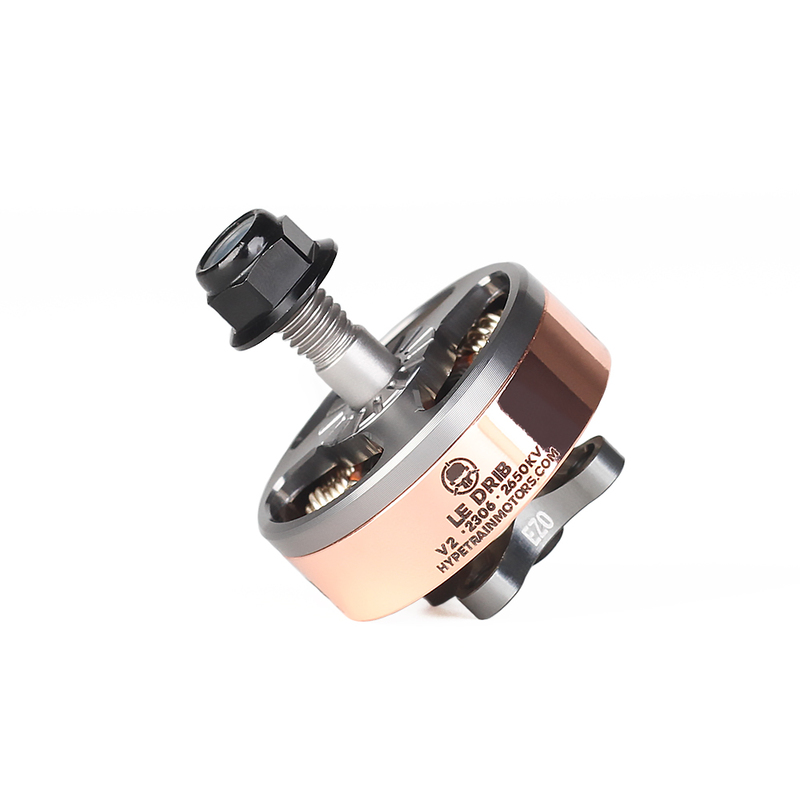 The 2306 stator offers incredible throttle resolution at the bottom end, but still has great top end control thanks to the high KV. To ensure reliability, the high-quality silicone wires are supported with epoxy at the stator. 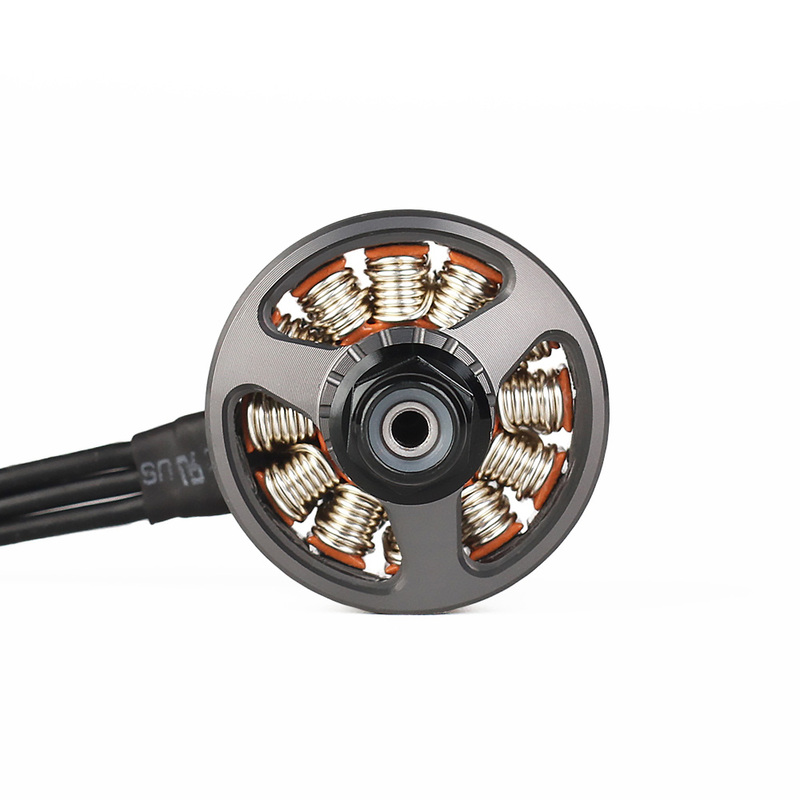 The “open bottom” style base allows for considerable weight reduction and improved cooling, and the revolutionary 16x16 mm mounting screw pattern opens up new design possibilities while still maintaining backward compatibility with legacy frames. Moreover, the use of a set screw to keep the bell in place rather than a C-clip, facilitates maintenance and bell replacements! Drew Camden, also known as Le Drib, started his FPV career in 2015. He has become a popular personality within the FPV community, and was recently appointed President of Rotor Riot LLC. Drew’s flying style can be compared to the flight of a swallow. With many close passes and smooth, swooping moves, Drew makes creative use of any space, maintaining full control but keeping you at the edge of your seat. Watch some of it here!